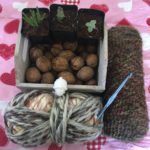 Moving Right Along…..To The Knitting Corner! 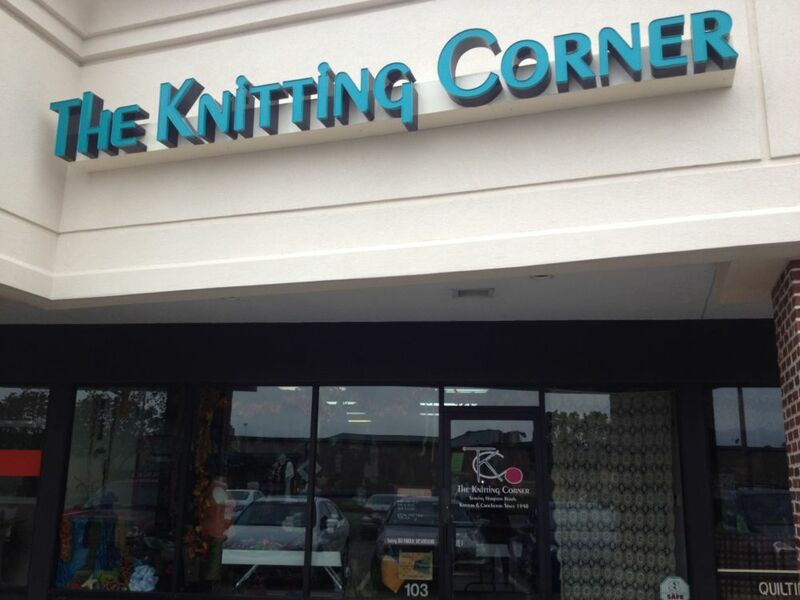 The Knitting Corner of Virginia Beach has been in business since 1948 and this is their second location, having started out in the Ghent section of Norfolk, Virginia. 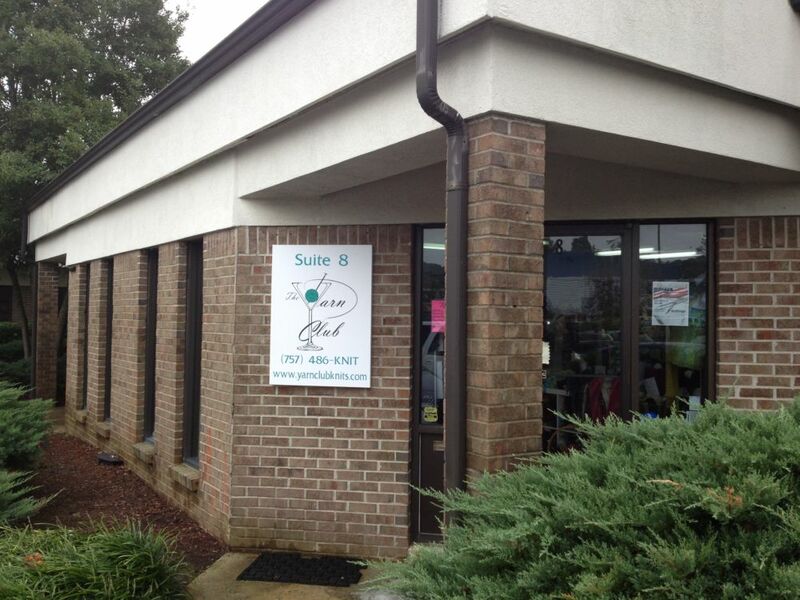 Sue Von Ohlsen, owner since 2008, is a Certified Master Knitter with a serious beading habit. Sue seems, like me, to have a wild side, and this suspicion was confirmed when one of her customers, Kim, referred to her as “off the chain.” Okay, there is more to Sue than meets to eye, lest anyone think yarn shop owners are dull. Sue’s beadwork has been on display at Smithsonian’s National Museum of Natural History and is part of the permanent “Hyperbolic Crochet Coral Reef” owned by the Institute for Figuring in Los Angeles, California. She also has several awards and a Beadwork magazine cover to her name as well. 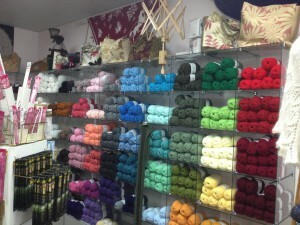 The Knitting Corner boasts a massive wall of Encore, pictured below, as well as a tremendous selection of “other” yarns, of course I am partial to Encore. Friendly help is always available, and plenty of inspiration is on tap. 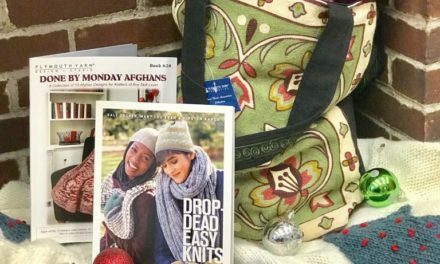 The shopping center, Kemps River Center on Kemps River Drive, is referred to as crafter’s central because it also has a quilt shop, bead shop, stained glass shop and embroidery shop all located in the same strip. Make a day of it! Oh, Starbucks is right nearby, too! The website is www.theknittingcorner.com and classes are listed on the website. You will love it at the Corner! Less Ends To Weave In! PreviousEmbrace Knitting at Knit in Charleston. Last Minute Gifts & Giveaways! 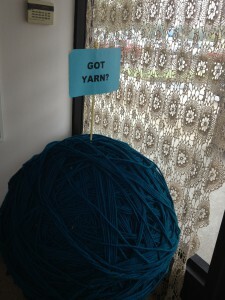 The Yarn Club in Virginia Beach, VA…Anyone Can Join! 50th Anniversary Drawing Winner Announced!